Click HERE for Metal Alliance VIP Packages! Click HERE for Metal Alliance Tickets! It may sound trite, but Invidia is truly a brotherhood. Each member of this brotherhood has a story that reflects the quote above. When they came together to make As The Sun Sleeps, they knew just what they didn’t want and how far they were willing to go to make it work on their terms. 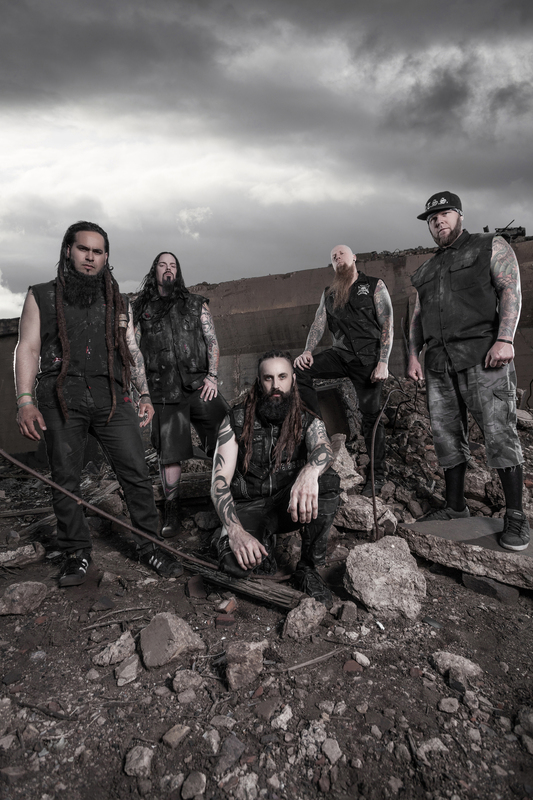 INVIDIA features former members of Five Finger Death Punch and Skinlab. Recently Invidia announced the addition of Evan Seidlitz as the newest member of the band, replacing vocalist Travis Johnson. Seidlitz is no stranger to the frontman spotlight, known for his work in VYCES, Thrown Into Exile and Grimace. The band is very excited to be on this new journey with Seidlitz and has no doubts that fans will be pleased with what he has to bring to the table. Hot on the heels of the release of their debut As The Sun Sleeps, Invidia are set to return to the road this summer first in support of Wednesday 13 through July. 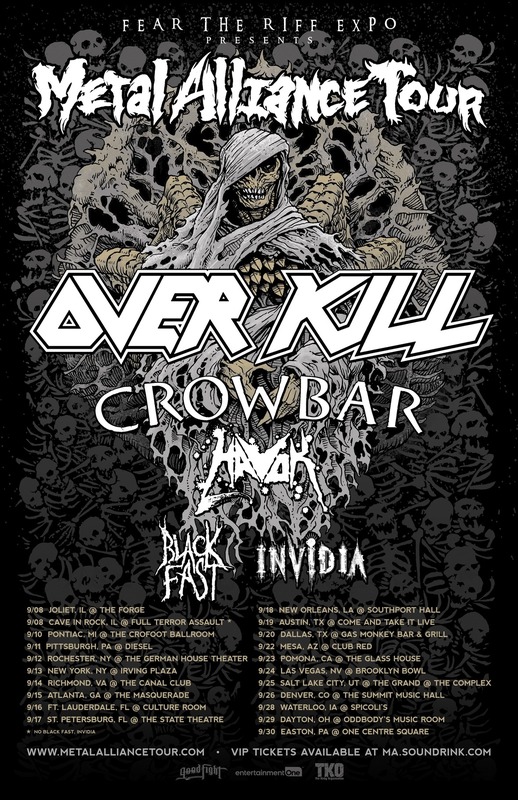 Then following a quick break the band will devastate the nation again as part of the Metal Alliance Tour alongside Overkill. Arena metal trio ATHANASIA has formed out of the ashes of ex-FIVE FINGER DEATH PUNCH guitarist Caleb Andrew Bingham‘s long time project ASCENSION. ATHANASIA features Bingham on guitar/vocals, ASCENSION bassist Brandon Miller and MURDER FM and ex-MURDERDOLLS/WEDNESDAY 13drummer Jason West. Listeners can expect a unique hybrid of classic and modern heavy metal from the band’s upcoming video/single release entitled “Spoils of War” due out October 13th.